Courteous and Prompt Professionals at YOUR Service! 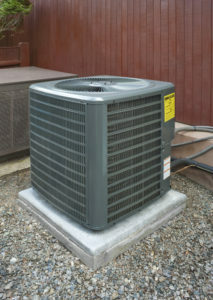 Keeping your air conditioner clean is essential to your air conditioner’s “health” of sorts. Cleaning your air conditioner removes dust and other harmful materials that could affect the productivity and mechanics of the air conditioner and helps to reduce the risk of your air conditioner encountering a problem and needing repair. Continue reading to learn more about a few ways you can keep your air conditioner in tip-top shape. Are you experiencing difficulty with your air conditioner? Let AirZone Solutions know how we can help you. AirZone Solutions is an experienced company that specializes in residential and commercial Air Conditioning Boca Raton services, including repair, maintenance, installation and replacement. Call us today at 561-247-4328 or contact us online. There are two different “types” of air conditioners: one is the condenser, which is the air conditioning unit that is outside your house, and the evaporator, which is the air conditioning unit inside your house. Each type requires different methods of maintenance. However, both can be affected by dust, debris, insects, and other materials that may clog fan filters and cooling fins. Make sure that you dust your air conditioning units often to keep debris from clogging the mechanics of your air conditioning units. Use a damp rag or washcloth to remove particles that may be stuck to the outside of your air conditioning units. Before cleaning your condenser, make sure that you turn off the power. familyhandyman.com says, your primary objective is to clean the condenser fins, which are fine metallic blades that surround the air conditioning unit. Dead leaves, grass, insects, seeds, and more can become lodged in these blades, which can negatively affect the unit’s cooling ability. Use a soft brush to vacuum the fins, and be careful when vacuuming because the fins are fragile and easy to bend or destroy. If you are having difficulty gaining access to the fins, consult your owner’s manual, which will provide you with directions on how to gain access to the fins. After gaining access to the fins, unscrew the fan to gain access to the inside of the air conditioning unit and carefully vacuum debris on the inside. Next, hose off the fins and check the fan motor for lubrication ports. If you find ports, add five drops of electric motor oil. Lastly, if the power to your unit has been off for more than four hours, move the switch from “cool” to “off” on your indoor thermostat, turn the power back on and let the unit sit for 24 hours, and then switch the thermostat back to “cool.” However, if you turned the air conditioning unit off while the compressor was running, wait at least five minutes before switching it back on and, with the air conditioner running, make sure it is operating correctly by touching the coolant tubes. If you experience any issues with your air conditioning unit, consult a trustworthy, experienced air conditioning repair company that will help solve your problem instead of trying to solve it yourself. If you do not have much prior knowledge of air conditioning units, this advice is especially important because you do not want to unknowingly harm your unit, which may end up costing you more money and aggravation. To learn more about our Air Conditioning Boca Raton services, please contact us for a FREE estimate and consultation. Here at AirZone Solutions, we value our customers and place excellent customer service at the top of our priority list. Call 561-AIR-HEAT (561-247-4328) or contact us online. According to bls.gov, the employment change of heating, air conditioning, and refrigeration mechanics and installers from 2010-2020 is 90, 300.